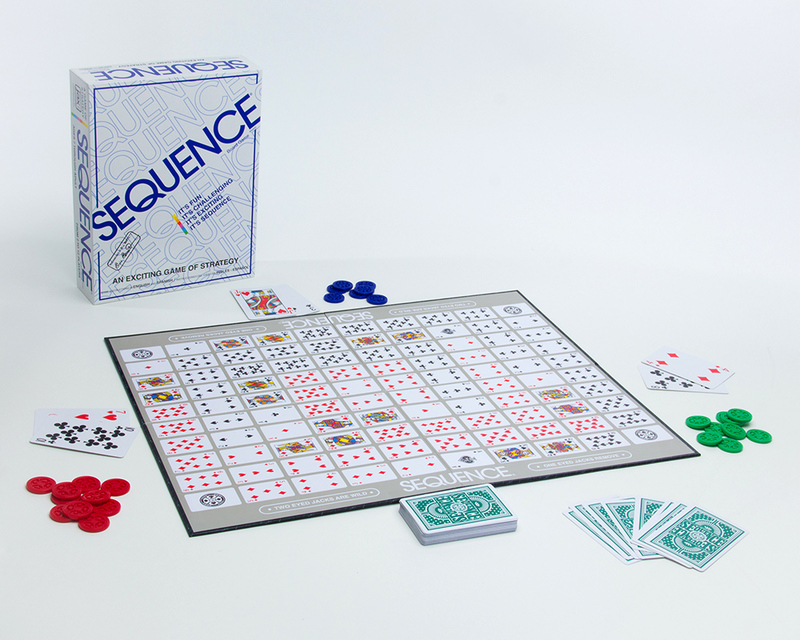 Sequence - Play a card from your hand, place a chip on a corresponding space on the game board…when you have five in a row, it’s a . Learn to block your opponents – remove their chips. Watch out for the Jacks – THEY’RE WILD! With a little strategy and a little luck – you’re a winner! Mastermind - Test your code-cracking prowess with Mastermind, the challenging game of logic and deduction. Can you crack the code in 10 moves or less? Can you create a code that can’t be cracked? 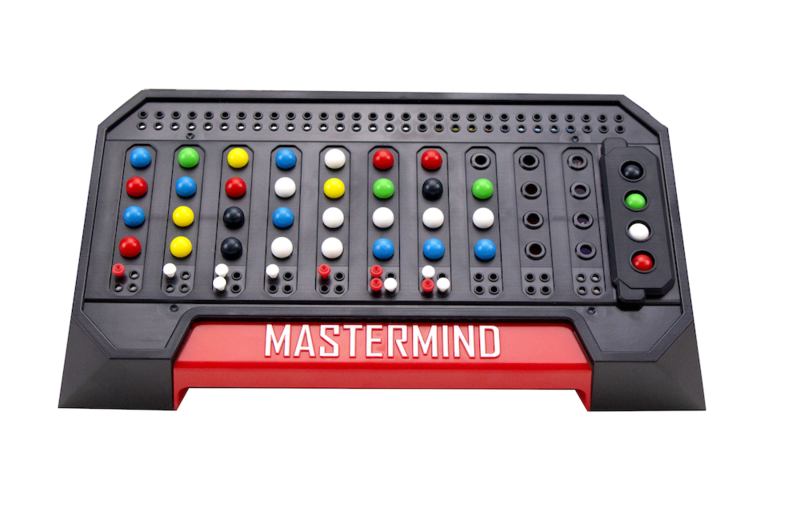 With more than 55 million units sold, Mastermind is a great strategy game…and one of the world’s most popular games ever. 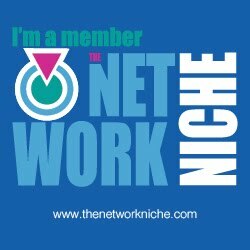 It’s easy to learn and fast to play and with thousands of code possibilities, it’s different every time. The Codemaker sets a secret code, then the Codebreaker tries to match the code using logic, deduction and maybe a little bit of luck. After each move, the Codemaker gives clues to the Codebreaker. Make the code even more devious by using multiple pegs of the same color or by leaving one or more peg holes empty. 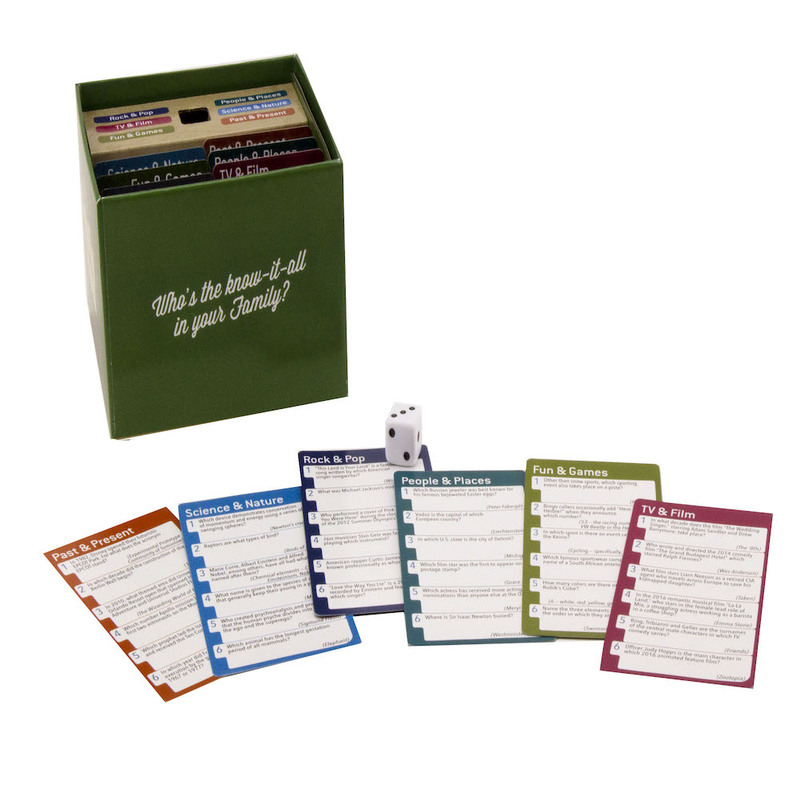 With so many possible code combinations, every game is guaranteed to be a brain teaser. All of these game components can be stored in the game board! The winner will be a true Mastermind! For 2 players, ages 8 and up. 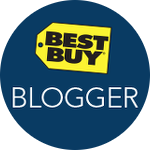 Cassandra's Review- A great group of games to make this holiday extra special by allowing the whole family to have a real hands on experience and get people to put down the electronic devices (like iphones) for a few hours. Bonding with family and having a blast is the perfect way to wait out the holiday meal being prepared or to end to a perfect holiday evening.